South Yorkshire Police busted a cannabis farm with more than 100 plants growing in a house. Two men, aged 24 and 26, were arrested in connection with the plants and are currently in police custody. 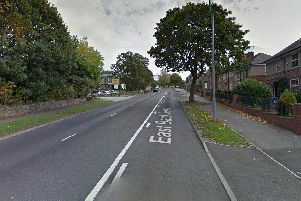 The cannabis was growing in five different rooms on Oakwood Drive in Broom, Rotherham. Rotherham North Neighbourhood Policing Team were able to search the property after gaining a warrant. If you have information relating to the case you can call police on 101 or anonymously via Crimestoppers on 0800 555 111.